Like finding the right house, selecting a REALTOR® you can trust and comfortably work with is paramount. Just as you wouldn’t be casual in the selection of your doctor or your attorney, you shouldn’t take the selection of your REALTOR® lightly. Indeed, the best way to find such a professional is through recommendations from family and friends. Of course, you should interview several REALTORS® before you choose one. If you’re selling your home, you should ask the candidates how they plan to market your home, what pricing advice they can offer, and what other suggestions they can provide to further enhance the desirability of your home. Whether you’re buying or selling, ask candidates about the transaction to evaluate their knowledge. Ask for–and check–references. And, finally, ask yourself whether you will feel comfortable working closely with this individual in the months ahead. The following is a quick guide whether you are deciding to buy or sell a house. One of the keys to making the homebuying process easier and more understandable is planning. In doing so, you’ll be able to anticipate requests from lenders, lawyers and a host of other professionals. Furthermore, planning will help you discover valuable shortcuts in the homebuying process. The buying process involves several steps, from finding a REALTOR® to making an offer to closing the deal. Buying and selling real estate is a complex matter. At first it might seem that by checking local picture books or online sites you could quickly find the right home at the right price. “Preapproval” means you have met with a loan officer, your credit files have been reviewed and the loan officer believes you can readily qualify for a given loan amount with one or more specific mortgage programs. Based on this information, the lender will provide a preapproval letter, which shows your borrowing power. You can visit as many lenders as you like and get several preapprovals, but keep in mind that each one carries with it a new credit check, which will show up on future credit reports. Although not a final loan commitment, the preapproval letter can be shown to listing brokers when bidding on a home. It demonstrates your financial strength and shows that you have the ability to go through with a purchase. This information is important to owners since they do not want to accept an offer that is likely to fail because financing cannot be obtained. Real estate financing is available from numerous sources, including lenders in the finance section of Homestore.com, mortgage companies that have worked with local REALTORS® and in some cases, individual REALTORS® themselves. Based on his or her experience, the REALTOR® may suggest one or more lenders with a history of offering competitive programs and delivering promised rates and terms. A home is more than just a collection of bedrooms and bathrooms. Several properties — each with four bedrooms, three baths, and the same price — may well represent radically different designs, commuting distances, lot sizes, tax costs, interior dimensions, and exterior finishes. Each of us is different and so it’s important to list the features and benefits you want in a home. Consider such things as pricing, location, size, amenities (extras such as a pool or extra-large kitchen) and design (one floor or two, colonial or modern, etc.). Next, it’s important to consider your priorities. If you can’t get a home at your price with all the features you want, then what features are most important? For instance, would you trade fewer bedrooms for a larger kitchen? A longer commute for a bigger lot and lower cost? Lastly, consider your needs in several years. If you’ll need a larger home, maybe now is the time to buy a bigger house rather than moving or expanding in the future. As a buyer, here’s what actually happens. A home has been placed on the market for which the seller has established an asking price as well as other terms. In effect, this is an offer. At this point, you have three choices: accept the seller’s offer and create a contract; reject it and not make an offer; or suggest different terms and make a counter-offer. If you choose this last option, the seller may accept, reject or make a counter-offer. No aspect of the homebuying process is more complex, personal or variable than bargaining between buyers and sellers. This is the point where the value of an experienced REALTOR® is clearly evident because he or she knows the community, has seen numerous homes for sale, knows local values and has spent years negotiating realty transactions. Often the cost of real estate financing is routinely greater than the original purchase price of a home (after including interest and closing costs). Because financing is so important, buyers should have as much information as possible regarding mortgage options and costs. To obtain a loan you must complete a written loan application and provide supporting documentation. Specific documents include recent pay stubs, rental checks and tax returns for the past two or three years if you are self-employed. During the prequalification procedure, the loan officer will describe the type of paperwork required. While much attention is spent on offering prices, a proposal to buy includes both the price and terms. In some cases, terms can represent thousands of dollars in additional value for buyers — or additional costs. Terms are extremely important and should be carefully reviewed. How much? You sometimes hear that the amount of your offer should be x percent below the seller’s asking price or y percent less than you’re really willing to pay. In practice, the offer depends on the basic laws of supply and demand: If many buyers are competing for homes, then sellers will likely get full-price offers and sometimes even more. If demand is weak, then offers below the asking price may be in order. How do you make an offer? In a typical situation, you will complete an offer that the REALTOR® will present to the owner and the owner’s representative. The owner, in turn, may accept the offer, reject it or make a counter-offer. Because counter-offers are common (any change in an offer can be considered a “counter-offer”), it’s important for buyers to remain in close contact with REALTORS® during the negotiation process so that any proposed changes can be quickly reviewed. How many inspections? A number of inspections are common in residential realty transactions. They include checks for termites, surveys to determine boundaries, appraisals to determine value for lenders, title reviews and structural inspections. No one would drive a car without insurance, so it figures that no homeowner should be without insurance. The essential idea behind various forms of real estate insurance is to protect owners in the event of catastrophe. If something goes wrong, insurance can be the bargain of a lifetime. Title insurance. Purchased with a one-time fee at closing, title insurance protects owners in the event that title to the property is found to be invalid. Homeowners’ insurance. Homeowners’ insurance provides fire, theft and liability coverage. Flood insurance. Generally required in high-risk flood-prone areas, this insurance is issued by the federal government and provides as much as $250,000 in coverage for a single-family home plus $100,000 for contents. Home warranties. Home warranties With new homes, buyers want assurance that if something goes wrong after completion the builder will be there to make repairs. The closing process, which in different parts of the country is also known as “settlement” or “escrow,” is increasingly computerized and automated. In many cases, buyers and sellers don’t need to attend a specific event; signed paperwork can be sent to the closing agent via overnight delivery. What to expect. Settlement is a brief process where all of the necessary paperwork needed to complete the transaction is signed. Closing is typically held in an office setting, sometimes with both buyer and seller at the same table, sometimes with each party completing their papers separately. What you need to do. Before closing, buyers typically have a final opportunity to walk through the property to assure that its condition has not materially changed since the sale agreement was signed. At closing itself, all papers have been prepared by closing agents, title companies, lenders and lawyers. It is generally understood that sellers will leave homes “broom clean” when moving out. This expression does not mean “vacuumed” or “spotless.” Broom clean makes sense because it means the house is ready to be painted and cleaned. For most owners a home is the largest single asset they hold, so it makes sense to protect that asset. Many owners make a photo or video record of the home and their possessions for insurance purposes and then keep the records in a safety deposit box. Your insurance provider can recommend what to photograph and how to secure it. You want to maintain fire, theft and liability insurance. As the value of your property increases such coverage should also rise. Again, speak with your insurance professional for details. Lastly, enjoy your home. Owning real estate involves contracts, loans, and taxes, but ultimately what’s most important is that homeownership should be a wonderful experience. Enjoy! Unfortunately, home selling has become a more complex business than it used to be. New sellerdisclosure statements, longer and more mysterious form agreements, and a range of environmental concerns have all emerged in the past decade. The home-selling process typically starts several months before a property is made available for sale. It’s necessary to look at a home through the eyes of a prospective buyer and determine what needs to be cleaned, painted, repaired and tossed out. Ask yourself: If you were buying this home what would you want to see? The goal is to show a home which looks good, maximizes space and attracts as many buyers – and as much demand – as possible. While part of the “getting ready” phase relates to repairs, painting and other home improvements, this is also a good time to ask why you really want to sell. Use our “REALTOR® Agent Search” feature to find individuals who actively sell in your community. Get recommendations from past sellers. Look for REALTOR® signs in your community. Check the classifieds in local newspapers and “shopper” publications. Look at the listings in local real estate magazines. Every reasonable owner wants the best possible price and terms for his or her home. Several factors, including market conditions and interest rates, will determine how much you can get for your home. The idea is to get the maximum price and the best terms during the window of time when your home is being marketed. All homes have a price, and sometimes more than one. There’s the price owners would like to get, the value buyers would like to offer and a point of agreement which can result in a sale. The value of your home relates to local sale prices. The same home, located elsewhere, would likely have a different value. Sale prices are a product of supply and demand. Owner needs can impact sale values. If owner Smith “must” sell quickly, he will have less leverage in the marketplace. Buyers may think that Smith is willing to trade a quick closing for a lower price. Because all transactions are unique there is flexibility in the marketplace. The amount of flexibility depends on local conditions. Each home is unique, the marketplace is always in flux, interest rates constantly change and new buyers search for homes each day. With such fluidity, it requires REALTORS® to craft marketing plans specifically for individual homes and market conditions. Experienced REALTORS® base their marketing efforts on previous transactions and ongoing research. Selling can entail a variety of marketing strategies. Once listed, it’s likely that the home will be quickly entered into the local MLS (Multiple Listing Service) and placed on our property search page. REALTORS® routinely market by mail with new-listing announcements and regular newsletters. Open houses, broker access to the home via the use of a lock box and networking with both local and out-of-town brokers are also common. How to market your home. If you look at a typical transaction you can see that there are five general areas where REALTORS® can assist in the home-selling process. In the case of an open house, a REALTOR® typically advertises that the home will be open for a given period (2-5 p.m. on Sunday). During the open period, the REALTOR® hosts the home while the owners leave for a few hours. the REALTOR® will provide literature, maintain a visitor log and answer questions. By interacting with visitors, the REALTOR® will seek feedback regarding the home and opportunities to follow up with prospective purchasers. Because a home sale involves an array of both personal and business concerns, it’s important to get it done right. You need to carefully prepare your home, understand the market and see what alternatives are realistically available. The old motto “be prepared” is a good guide in such circumstances. Is the offer at or near the asking price? Is the offer above the asking price? Has the buyer accepted the asking price or something close? What is the alternative to the buyer’s offer? Does the owner have enough time to wait for other offers? What if no other offers are received? What if several offers are received? Do you choose the high offer from the purchaser with questionable finances who may not be able to close, or a somewhat lesser offer from a buyer with preapproved financing? In each case, owners — with assistance from REALTORS® — will need to carefully review offers, consider marketplace options and then determine whether an offer is acceptable. A counter-offer is nothing more than a new offer. And just as the buyer had options in response to the owner’s original price and terms, the seller can now choose one of three reactions: accept the offer, decline the offer or make a fresh counter-offer. How do you negotiate? Negotiating should be seen as a natural business process; buyers should be treated with respect; and owners should never lose sight of either their best interests or their baseline transaction requirements. These are the standards unique to each owner, which must be met before the home can be sold. What Happens? Closing — or “settlement” or “escrow” as it is known in some areas — is essentially a meeting where the closing agent (the party who conducts settlement) takes in money from the buyers, pays out money to the owner and makes sure that the purchaser’s title is properly recorded in local records along with any mortgage liens. The closing agent reviews the sale agreement to determine what payments and credits the owner should receive and what amounts are due from the buyer. The closing agent also assures that certain transaction costs are paid (taxes and title searches). How do you prepare to sell? It’s important to look at the sale agreement and review your obligations. For instance, if you have agreed to paint a room or replace the dishwasher, such work must be completed before closing. Your REALTOR® can discuss your agreement and the steps which must be taken to complete the transaction. Even the smallest home contains a lot of furniture, clothes, kitchen equipment, pictures and other items. For a short move, it may be worthwhile to transport small goods by yourself, but larger items will likely require a professional mover. It’s ideally best to get rid of excess furniture and other goods by having a sale before you move. This will reduce the volume of goods to be moved and thus lower moving costs. Unwanted furniture which cannot be sold can often be donated to charitable groups, many of which will come to your home to pick up donations. How do you plan a move? The time to plan your move begins once you’ve decided to sell your home. Some of the activities required to sell the home can actually help with the moving process. For example, cleaning out closets, basements and attics means there will be less to do once the home is under contract. There are a number of factors to consider. Money is one issue: You’ll want to spend as little as possible, but choosing only on the basis of cost can be a mistake. Movers must have the right equipment, training and experience to do a good job. A mover, no matter how large or small, should be able to provide recent references for homesellers with a similar volume of goods to transport. Always confirm mover credentials. Movers should be licensed and bonded as required in your state, and employees should have workman’s comp insurance. Money. If you’re moving more than a few miles then you should have enough cash or credit to cover travel, food, transportation and lodging. Number boxes so that all items can be counted on arrival. Make a list of boxes by number and indicate their contents. Moving historic, breakable or valued items? Such goods routinely require special handling and packaging. If you have a laptop computer with a modem, make it accessible during your trip to pick up business and personal e-mail. Medicine. Keep medicines and related prescriptions in a place where they will be available during the move. Our mission is to be recognized as the ultimate provider of products, education and service that empowers our members with the knowledge and skills to deliver exceptional service to their clients. 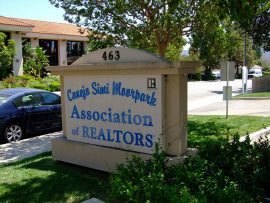 Copyright © 2019 Conejo Simi Moorpark Association of REALTORS®. All Rights Reserved.